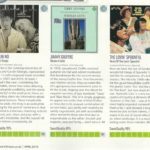 “… Roy Gregory´s reminder that there`s plenty of life – and superb performance – In the CD format! Okay, I admit it: I still listen to CD. But far from apologising for that fact, I’d argue that CD doesn’t just remain relevant: for a number of reasons CD users have never had it so good. Listen to the chattering classes and nobody in their right mind would invest in CD replay – either as a manufacturer or an end-user. 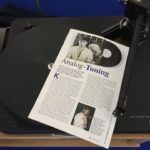 In a world where it seems to be impossible to sell a CD player that doesn’t offer a USB input, it seems sensible to conclude that file-replay is well on the way to eradicating optical disc – and in overall market terms you might even be right. But if you are primarily concerned with performance, then you are facing a very different reality. The simple fact is that, irrespective of how big the numbers on your download are, or how many times you up-sample the signal, it’s no guarantee of musical performance. Listening to the lamentable results that issue fourth from the vast majority of highly touted file-replay systems, systems that invariably boast the biggest numbers and latest software, it soon becomes obvious that in this instance size really doesn’t do it: what actually matters is data integrity, and that’s where file replay struggles, both in the provenance of the files themselves and how they are handled in the replay chain – and where optical disc offers a host of very real advantages. For starters, play a CD and you can instantly defi ne several performance critical factors: the physical medium itself is of course, closely defi ned, but so too is the data ratecoming off the disc. Replay and decoding may well be two separate problems, but at least they’re singular in nature and both depend on mature, targeted technologies. Likewise, data transfer standards are clearly defined and the cables and connectors employed benefit from 30-years of development. Compare that to the computer derived hardware, multiple file types, and system topologies that constitute a file replay system. If you also factor in the volatility of the replay chain itself, you can begin to understand why even the best sounding file replay solutions are so frustratingly inconsistent. When it comes to high-end systems, file replay is not only a long, long way from the premium source so many claim and assume it to be, but it’s also generally well off the pace. This rather circuitous route brings us to CEC’s TL5 CD transport; a product that offers a fascinating take on the advantages, practical and sonic, currently enjoyed by optical disc based systems, a chance to not only put file-replay in context, but to appreciate and acknowledge the on-going development of optical disc reading. Take a look at the CEC TL5 though, and it becomes apparent that it ticks an awful lot of boxes when it comes to top-flight CD replay. Since the dawn of digital disc, the top-loading transport has been an almost ubiquitous part of the best performing players. Even those state-of-the-art disc players that use drawer-loading mechanisms are internally arranged to mimic a top-loading topology. But there’s no drawer and the TL5’s simple sliding cover eliminates not just the drawer but the motors and circuitry associated with mechanical loading. Likewise, belt-driven CD mechs have built an enviable reputation, being used in some of the best and most musical CD replay systems. Refreshingly – almost bloody-mindedly – simple in concept and operation, CEC’s TL5 transport is living, breathing proof that less really can be more. This is good old Red Book, with the emphasis on the ‘good’. This is music making with gusto, a performance with an almost irresistible sense of ebb and flow that starts with Barbirolli but finishes, emphatically with the CEC. After that, the sort of kick required to bring rock or pop to life, the subtle texture and intimacy to make a vocal connect, or keep track of an extended instrumental line – they’re all child’s play. If you really want to hear what this transport does, just choose something that depends on phrasing and compare its performance to the competition. Whether it’s Argerich or Arvo, Ella or Eminem, the way the CEC flows effortlessly through the music makes most alternatives sound clumsy and disjointed mechanical and stilted. …we like music very much, it is a wonderful way to express feelings and communicate with other people on a same level. We like also the sound of musical instruments, played in fine acoustic surroundings, they sound so pure and warm. Unfortunately most CD, LP and Reel to Reel tapes are bad recorded, with a harsh sound to close and without ambience. 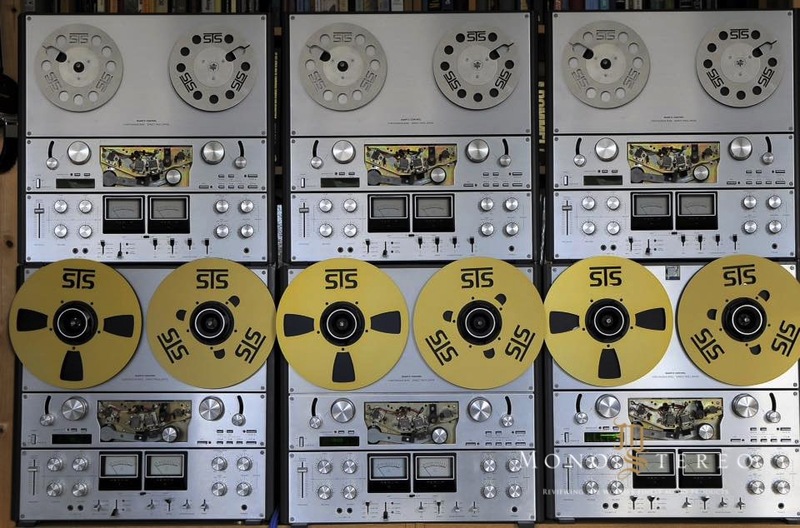 For this reason we started with STS Digital twenty years ago to do something totally different and the results are our recordings with a fine selection and series like: Extended Dynamic Experience, Celebrate the Art & Spirit of music, Siltech Test Demo CD, The Absolute Sound Reference lots of LP’s and Reel to Reel tapes. There you go folks, Fritz and Netty de With are a couple of entrepreneurs from the Netherlands deeply involved with the audiophile world and recording as well. These fellows breathe and live music all the way and has been brave enough as to embark on this tape masters saga, now en vogue almost everywhere. They know that they wouldn’t become rich with this limited business, but at least they are enjoying what they love to do and that’s what counts! To begin with, the tapes are supplied in a custom, high quality made aluminum reel with the “STS” logo. The design is innovative and the color is beautiful. The very small “windows” make it difficult to thread the tape on the hub without leaving a “tape flag” protruding out as I like to thread my tapes, but this is just an small detail. The reel by itself if a collection piece. The tape is a LPR35 from Recording the Masters (former BASF) and comes neatly packed in the reel. Then, you have this nice looking cardboard box with the production cover picture labeled to the box. It’s a high class presentation, second only to the extremely fancy “Open Reel Records” package. The STS box is a reminiscence of the glorious pre-recorded tapes of the 70’s and their 7″ boxes with the picture on it. It’s easier and cheaper to just send a tape inside a generic box, but NO. STS prefers to spend a little more in order to give the customer something worth of the investment they do on this kind of products. Inside, you’ll also find the “quality control” certificate, that also serve as the track list and a detailed description of their tape copy process. The copies are made from the master running on a Philips EL3501 to a bank of 6 Philips N4522. The equalization is to CCIR standards, 320 nWb, half track format and the sampler I received runs @ 15ips. The recording level was right on the money: not too low and not too loud. Just where it’s suppose to be. They don’t use Dolby, but the noise floor were extremely quiet! The sound quality is very good indeed. The instruments timbre is very accurate, the recording space is neatly distributed and you can pin point where’re every musician, the stereo image is wide and well distributed with a very detailed presence and transparency. The illusion of “being there” is extremely realistic. I have the impression that this tape was meticulously mastered and if it’s so, it was a great Mastering work. As a Mastering Engineer myself, I have found many nice recordings ruined by the Mastering process. Not this one. 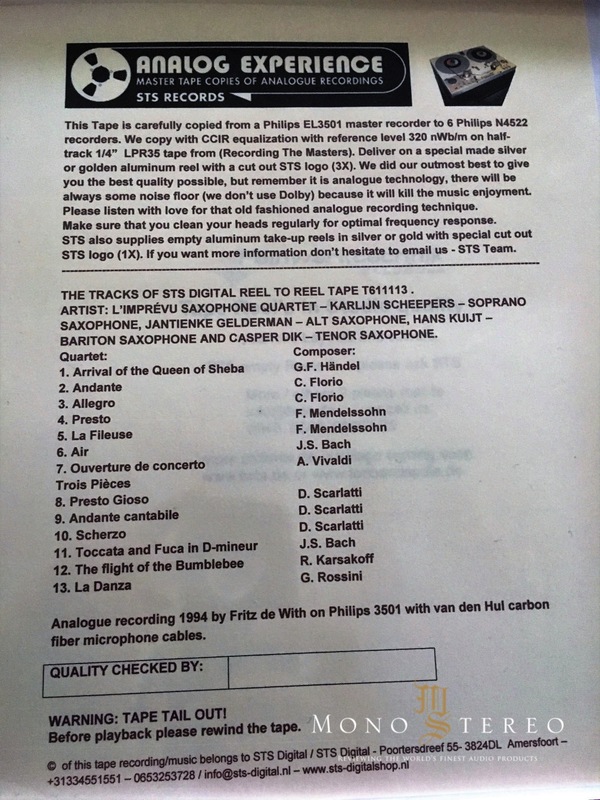 Well, Fritz has been doing this since the 70’s, so, he must know a thing or 2 about recording and sound quality. The main complaint from John Q Public about the so called “hi end” master tapes is that on many occasions the recordings are made by obscure artists and the music they play, besides the classical titles, are a little hard to listen to for more than 15 minutes. I understand them. For a person just looking to enjoy the music and not trying to constantly evaluate their systems using these tapes, it’s hard to stick on a chair listening to esoteric pieces of music, full of ornaments, dissonances and counter tempos. They want mainstream music. Something more commercial and easier to digest. They want to listen to their favorite musicians and not to “someone” from who knows where, pounding with a mallet on a Conga drum. If these labels want to survive, they’ll have to evolve. There’s nothing wrong with original recordings from new and upcoming talents, but hey! Sometimes enough is enough, if you know what I mean. This is what I’m constantly hearing around my circles and not only from Joe Mid Fi, but also from seasoned audio professionals as well. The de Witt’s has found a niche where they could offer the interested party the sonical quality of hi end, but with a more pleasant music from artists they can identify themselves with. Kudos to Fritz and Netty, that by the way is a very friendly and easy going woman in charge of the administration and relationships part of the STS equation. With Fritz behind the console and recorders and Netty on the Public Relations department, I augur a bright future for the STS label for years to come! 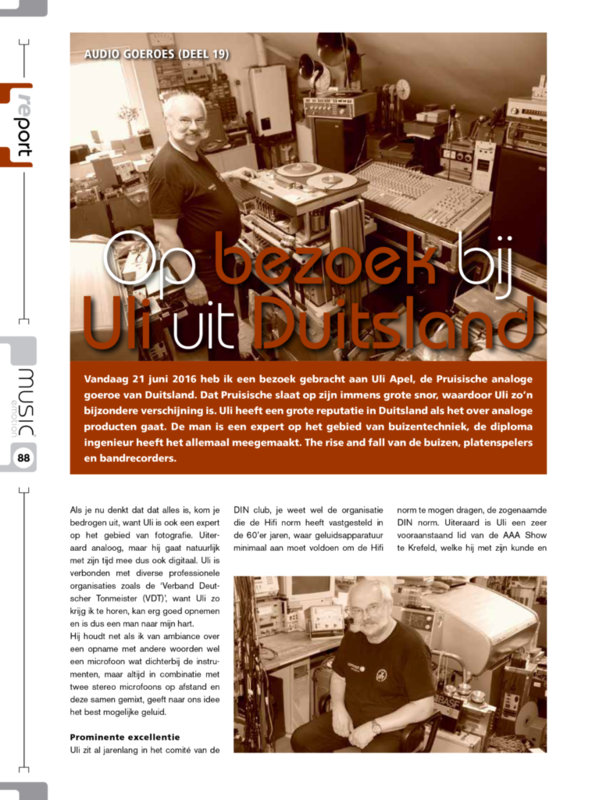 Ter ere van het 25-jarige jubileum van de analoge show in het Duitse Krefeld, werd een speciale LP uitgegeven door STS Digital. 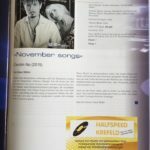 Bezoekers van die show – en later ook liefhebbers wereldwijd – konden en kunnen de LP met muziek van Greetje Kauffeld voor een interessante prijs aanschaffen. In 1990 werd na de toenmalige High End Show, indertijd in Frankfurt gehouden, een plan gesmeed om de liefhebber van analoge weergave een platform te kunnen blijven bieden. In een tijd dat de wereldpers en de grote massa zich richtten op digitale audio, bleef een kleine groep analoog-specialisten zich sterk maken voor analoge weergave. 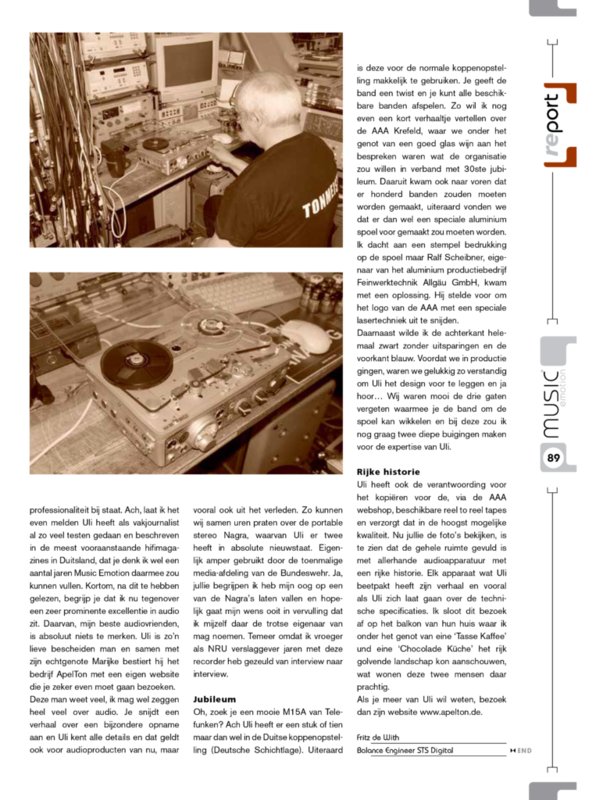 Al snel was de Analog Audio Association geboren. Door de jaren heen zijn er 30 analoge shows georganiseerd door de AAA. Tijdens de voorlaatste show waren het enkele bekenden vanuit de AAA die samen met Fritz de With nog een drankje genoten na de eerste showdag. Daar werd het plan geboren om een speciale LP uit te brengen, die tijdens de volgende jubileumshow voor een klein bedrag aan de bezoekers aangeboden zou kunnen worden. 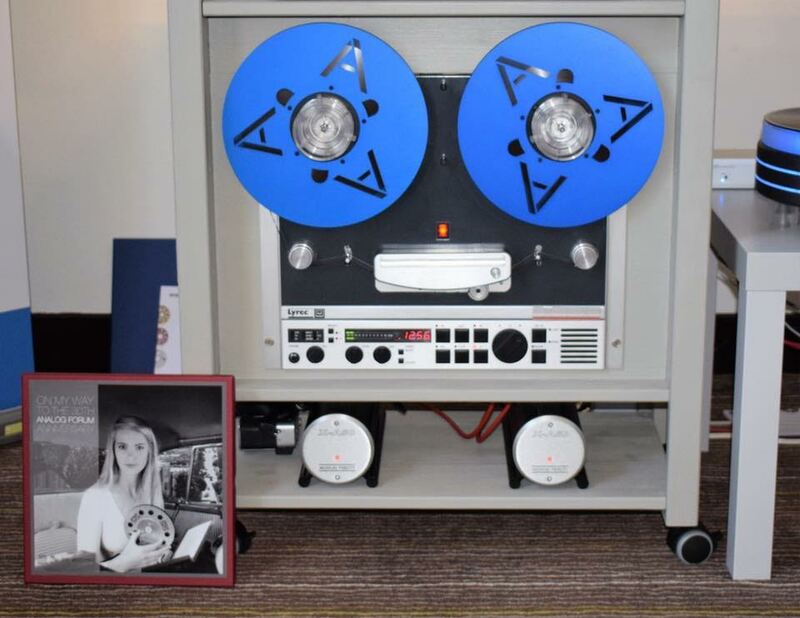 Het resultaat was 2000 persingen op vinyl en 100 tapes, die speciaal voor deze gelegenheid van het AAA logo in een blauwe tape reel werden voorzien. Op het album, dat de toepasselijke titel On My Way To The 30th Analog Forum Anniversary draagt, is een in 1979 opgenomen studiosessie van Greetje Kauffeld te horen. Op twaalf tracks bracht de nog steeds actieve jazz-zangeres een ode aan het Great American Songbook, ondersteund door musici die haar in die tijd vaker begeleidden. Te horen zijn Henk Elkerbout op piano, Peter Ypma op drums, Jan Menu op saxofoon en Peter Nieuwerf op gitaar. Hoewel de verschillende songs de audiofiele luisteraar verre van onbekend zullen zijn, is deze LP een warme deken voor het gehoor en de geest. Spannend wordt het nergens, maar de indertijd 39-jarige Kauffeld wist op innemende wijze haar stem te lenen voor bekende arrangementen als Nice ‘N’ Easy, Smile, Route ’66 en Fly Me To The Moon. De muziek stond natuurlijk volledig in dienst van de vocalen, waarbij deze geremasterde en in Duitsland geperste LP de individuele instrumenten mooi om de stem van Greetje heen positioneert. Met af en toe een kleine solo, zoals de fraai en ingetogen bespeelde saxofoon op It Had To Be You. Meer ontspanning dan dit is er niet, en de luisteraar wordt getrakteerd op een echte analoge muzikale beleving met de duidelijke klanksignatuur die inherent is aan het eind van de zeventiger jaren. On My Way To The 30th Analog Forum Anniversary zal vooral de beoogde bezoekersgroep van de gelijknamige show bekoren. Echt innovatief klinkt deze muziek natuurlijk niet, wat overigens helemaal niet erg is. Ook daar is een publiek voor, dat met deze LP meer dan goed op haar wenken wordt bediend. Greetje Kauffeld weerklinkt fraai uit de groeven van de erg goed geperste LP, haar sterke vocale prestaties vanuit 1979 zullen menig audiofiel nog steeds tot in de kleine uren kunnen vervoeren. Een extra beetje warmte tijdens deze koude winterdagen. STS DIGITAL Analog Experience.Special thanks to Mrs. Netty de With and to Mr. Fritz de With for the Great assistance with the Technics 1506. One of the highlights of the National Audio Show, UK has to be AirAudio‘s demonstration of the stunning Sts-digitalshop master tapes. This one: ‘Jazz Masters’, features Buddy Tate on tenor sax, Milt Buckner, organ, and Wallace Bishop on drums. 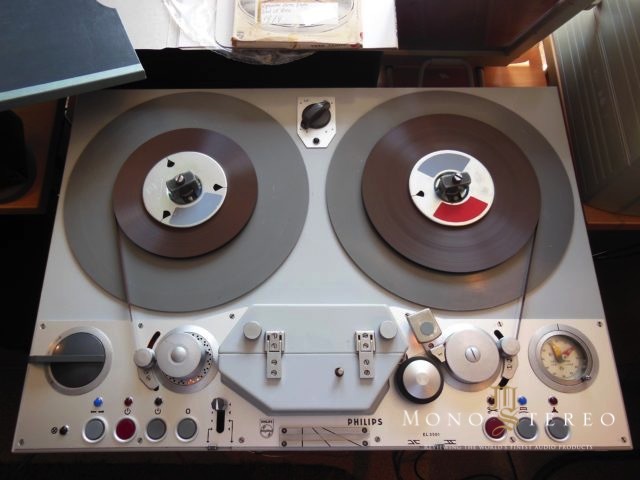 £250, seems like quite a lot, but for a genuine, exceptional sounding master tape? Sounds superb – sounds like a bargain! Following my initial Sts Digital Ben Webster experience, which was more interesting than outstanding. I decided the only sensible thing to do was to buy the 15ips version which promised to be a genuine 1:1 master copy. So I ‘phoned Michael at Air Audio, the official Sts-digitalshop UK distributor, and got out my credit card. This is completely different experience. Firstly, the packaging is first class. The hinged box is really nicely made from very stiff, cloth-textured card. It doesn’t take up excessive shelf-space, looks great and provides good protection for the tape within. Although a spine label would be nice should I buy any more STS tapes! Another improvement since my first experience. Inside the box various stickers and notes state the equalisation is CCIR, level 320nWb/m and that this copy master was made by playing the original master on a Philips EL 3501 feeding a bank of 6 Philips N4522 machines loaded with LPR 35 tape. The next thing worthy of note is the reel itself – quite the nicest reel I have. The ‘NAB’ centre is precision machined from what appears to be black anodised aluminium, but may be some other material. The rear flange is black and the front flange silver – I understand gold is also available – and are flat as a pancake and completely concentric. This is the flattest, most concentric reel I have. Full marks to STS! One very slight niggle: the fancy ‘STS’ cut outs don’t provide sufficient view of the tape pancake to be able to clearly see how much is left. I like to see when the end (or the beginning as I always store my tapes ‘tails out’, and stop before the tape requires re-lacing. OK, two slight niggles. The tape (LPR35) is supplied without leader or tail although there’s a healthy fifteen seconds of tape before the music starts and plenty at the end. The first thing I did was to add leaders and tails. Slightly annoying but to be honest I usually swap what’s supplied anyway as I like a long leader and have my own preferred colour coding system. So, how does it sound? Gorgeous, really really good, a huge step-up from the 7.5ips version. As I stated previously, this is a sublime album and now available in unbeatable fidelity – that’s what a true master copy provides – the absolute best version of that album there is, period. So, for around £250 you can buy a genuine 1:1 master copy of a superb jazz album. That to me seems like a very sensible thing to do. I don’t really know most of the rest of the STS catalogue but I’ll certainly be dipping into it should they add any other albums that get my mojo rising. And thanks again to MCRU who first loaned me the 7.5ips tape. There’s a bit of a buzz around reel to reel recordings at the moment and the number of audiophiles and music lovers taking up the format is clearly on the rise…and in response there are a growing number of companies offering up reel to reel recordings to cater to their needs. Step up to the plate STS Digital from The Netherlands and headed up by the lovely Fritz and Netty de With. 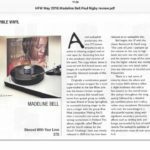 Many readers of Hifi Pig may well be familiar with the name Madeline Bell as she’s worked both as a solo artist as well as with Dusty Springfield and Serge Gainsbourg. In the UK she was a member of Blue Mink who scored a few top twenty hits. She’s sung with Joe Cocker, had Led Zeppelin’s John Paul Jones produce her album Comin’ Atcha and did some backing vocals for Elton John’s classic Honky Chateau…plus a whole load more including being part of disco band Space and appearing on Giorgio Moroder’s EMC2. 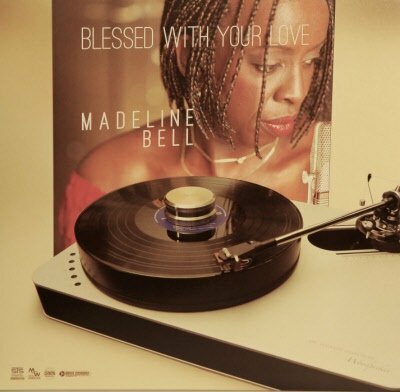 She’s still singing and performing and this particular album Blessed With Your Love was originally released in September of 2000 on the Dutch label Challenge as simply Blessed and it’s a bit of a belter! Blessed kicks off with The Look Of Love (Bacharach/David) and sets the laid back jazzy theme for what is to come. Sail on Sailor is a tune you’ll know the moment you hear it and Bell does an absolute stunning job with it and musically it’s really nicely done without detracting or taking over from the main course which is Bell’s beautifully silky vocal style…so effortless and unforced! Gershwin’s Home opens with cool with strings, pianos and again Bell’s deeply seductive vocal talent before the sax comes in and lifts it a little. Jonathan Larson’s Season’s Of Love from the musical rent and with the unforgettable “Five hundred twenty-five thousand six hundred minutes” opening is up next and has more of what this album is all about – cool, relaxed and exquisitely performed jazz which is given space to breath. Even the Beach Boys’ Medley sounds just right…and I really expected this to be a cheesy non-entity but it’s far from it and I absolutely loved its foot tapping familiarity, delivered in such a different style. Good Morning Freedom from the aforementioned Blue Mink is an absolutely cracking tune, first released in 1970 on the Philips label and if you were around at this time you’ll know it… I was three at the time and I recall it somehow. It’s given a bit of a polish and update here but still maintains its funkiness. Dreams, the penultimate tune on the album and written by Landesbergenand is a dreamy laidback Sunday morning affair. This is perfect drift away Sunday morning music that is more of an instrumental enhanced by Bell’s sparse vocal to begin with, but here we have her in more plaintive mood and expressing the sentiment of the tune magnificently and in such a restrained and controlled manner. Final tune on the album is The Last Laugh, co-written by Bell and Landesbergen and it finishes off the album much in the way it started and continued. I don’t know the tune but it seems instantly recognizable in some way that’s indescribable. I think this is perhaps down to the way that Bell manages to be instantly likeable and accessible. No, this is not my usual kind of thing but it’s been on the tape machine loads since I picked it up in late February and is great to have on as background music whilst working or reading, but it’s also engaging and thoroughly enjoyable when you sit in front of the main rig and give it a proper, more involved listen. The real star of the show on this record is of course Bell’s vocal talent, but in this format, recorded without Dolby or other wizardry being added really allows her to shine. Yes it’s a bit dirty and very analogue sounding, but it’s dynamic, wonderfully charming and a real treat to sit and listen to both for the sheer gorgeousness of Bell’s vocal talent and the way this has been recorded to allow instruments to shine in their own right. We spoke to Fritz de With, responsible for this reel to reel copy of this album and he had the following to say. We get a lot of e-mails from audio fans from all over the world and they always ask the same question: what is your motivation to make such beautiful recordings, well here we go. The first reason is that we like music very much, it is a wonderful way to express feelings and communicate with other people on the same level. We like also the sound of musical instruments, played in fine acoustic surroundings, they sound so pure and warm. Unfortunately most CD, LP and Reel to Reel tapes are bad recorded, with a harsh sound too closed in and without ambience. 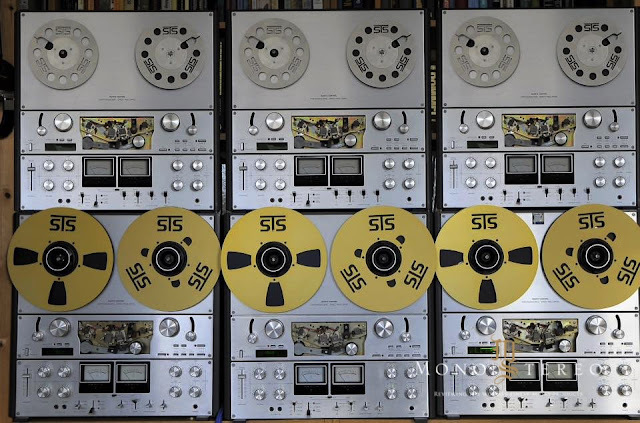 For this reason we started with STS Digital twenty years ago to do something totally different and the results are our recordings with a fine selection and series like: Dynamic Experience, Celebrate the art & spirit of music, Siltech Test Demo CD, The Absolute Sound Reference lots of LP’s and Reel to Reel tapes. 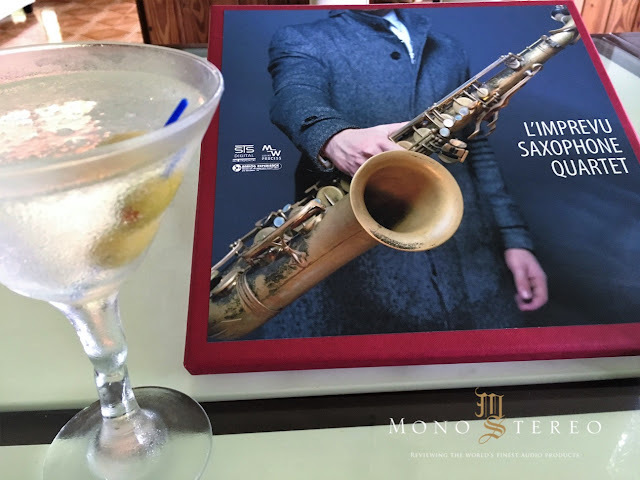 We give in these series and products every musical instrument the space they need, so the original sound can develop its typical sound of various instruments with the help of good ambience. A sax will sound like a sax and not like a clarinet and a piano sounds like a piano and not a keyboard. Now you understand how important it is to record music in a good sounding concert room or church and not in a dry studio with close miking. 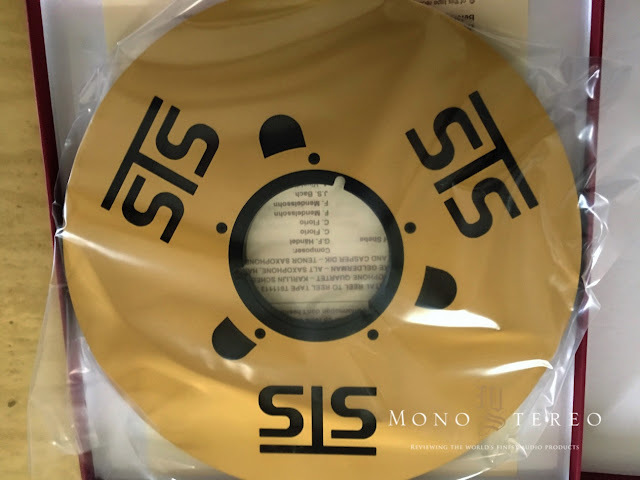 To get the best out of our Schoeps microphones we use gold/silver cables from Siltech and copper cables from Van den Hul and we clean up AC current with our own developed 6 pack AC Power Block. We use our ears by first listening in the concert room or church where an orchestra is playing for some time and then go back to our recording room to get the sound what we first heard in the concert room/church, as natural as possible. It is usual dictated by placing the microphones not to close, we also put a lot of effort in mixing and mastering the recordings, we guard the whole recording process with our ears like a wolf in the night. Every step we check the results and compare the process with the original recordings. We understand that regular CD, LP and Reel to Reel Tape recording companies can’t effect such a Rolls Royce treatment. We can do that, because we ask the best brand audio manufactures, for their financial support, they help us to go as far as we possibly can go to reach that High-End standard. 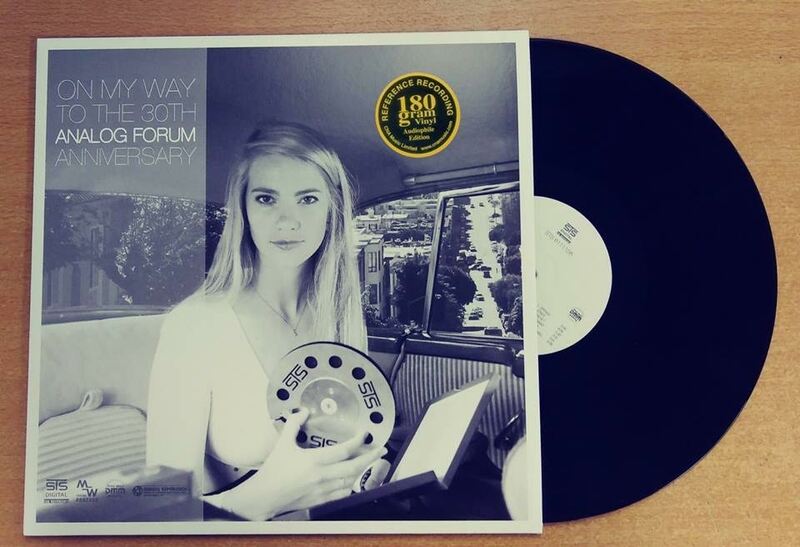 If you listen to our productions on CD/LP, remember that we did our utmost best to get for you all the benefits of our effort to go far beyond the best of the best.